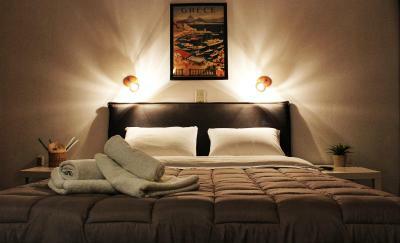 Lock in a great price for Hotel Aegina – rated 8.7 by recent guests! The staff are very friendly. This is a simple, clean hotel in a good location two minutes' walk from the town centre and five minutes from the ferries. 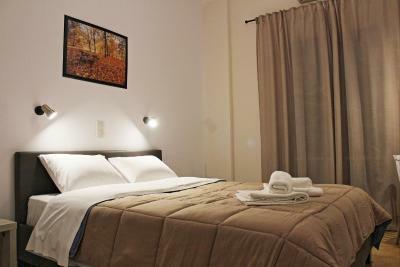 Very comfortable bed, nice AC, efficient use of space, pleasant staff, and absolutely sparkling clean. A genuine bargain. The hotel is great and has an excellent location. The breakfast is good and I loved the small garden. The staff were very helpful and friendly and the location was quiet and yet close to all facilities. 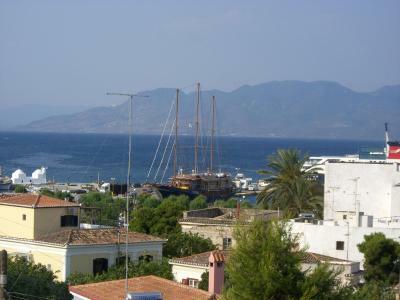 The bedroom and bed very comfortable and the views across Aegina to the neighboring islands idylic. Home made marmelade for brekfast was excellent. Design of Lobby very trendy. 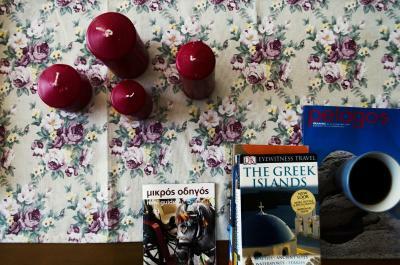 Was modern and clean but still had classic saronic island look! Would book again if I were to go back. 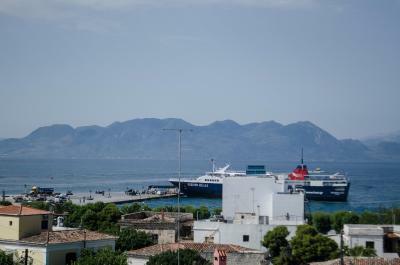 My partner and I stayed at another hotel for our second night on Aegina and I would definitely say this was the nicer of the two. I especially enjoyed the bed linens and the pillows. Very comfortable and clean! Convinient walk to the hotel from the busy harbor. Away from the noise from town. 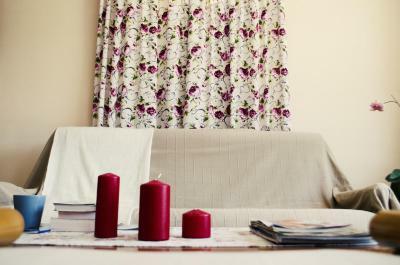 Room is not any extra but just the necessary things you would need for a shorter stay. Very clean. No noise from next door but from the corridor. Floors were very cold. Bring slippers! Very nice staff. A lovely small personally run hotel. Nice cheerful young staff. Nice well kept room with a special bonus of a sea view even when lying in bed. The hotel was very close to the port and the staff was very willing to help. 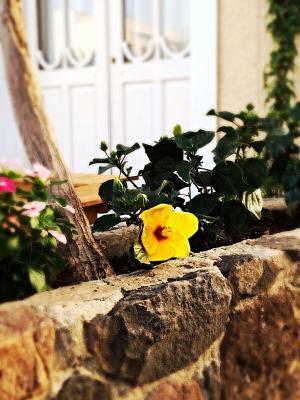 Hotel Aegina This rating is a reflection of how the property compares to the industry standard when it comes to price, facilities and services available. It's based on a self-evaluation by the property. Use this rating to help choose your stay! One of our best sellers in Egina! 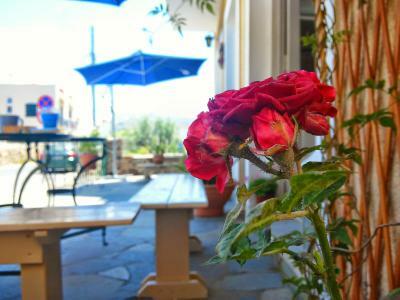 Just 500 feet from the beach of Aegina Town, this hotel offers air-conditioned rooms with free Wi-Fi and a balcony. Aegina Port is at 1,000 feet. 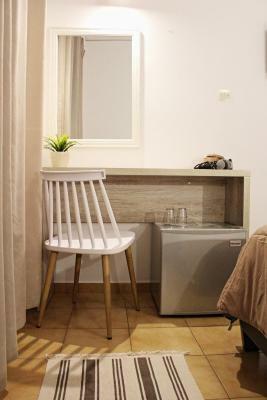 A fridge, TV and hairdryer are included in all rooms at the Aegina Hotel. Each comes with a private bathroom with shower. Breakfast is provided in the dining area. 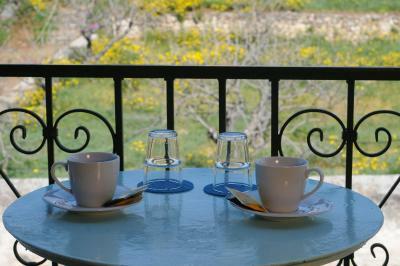 Room service is also possible at the Aegina Hotel. The temple of Apollo is within a 3-minute walk. Staff can arrange car rental to explore the picturesque Perdika village 6.2 mi away. This property is also rated for the best value in Egina! Guests are getting more for their money when compared to other properties in this city. 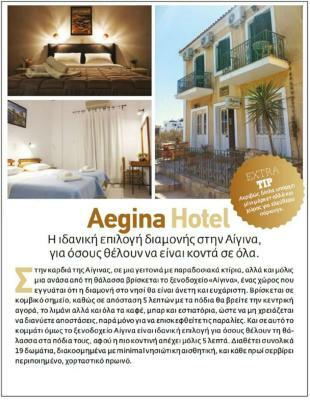 When would you like to stay at Hotel Aegina? This single room has a mini-bar, TV, air conditioning and hairdryer. Please note that this room type has no balcony, but only windows. 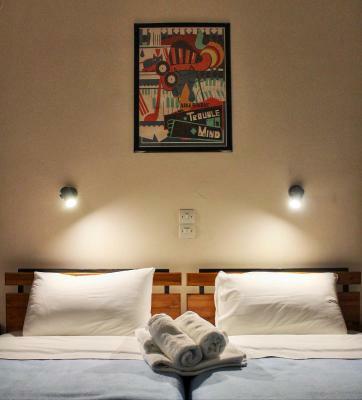 This twin/double room features air conditioning and opens out to a balcony with views over the town, the sea or the hotel's surroundings. 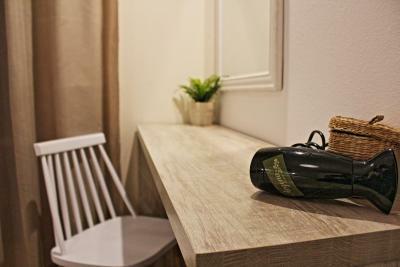 A mini-bar, a TV and hairdryer are included. 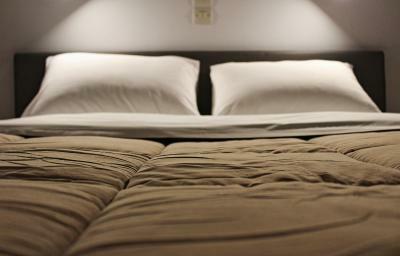 Please note that twin or double bed preference depends on availability upon arrival. Please note that most units are located on the upper floor, but there are some units located on the mezzanine floor which have views only on the hotel's surroundings. 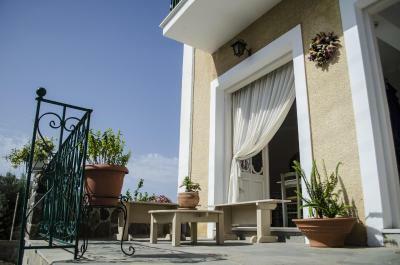 Spacious room with balcony and a large window overlooking the mountain and the city. Air conditioning, a fridge, a kettle, a TV and a hairdryer are available. 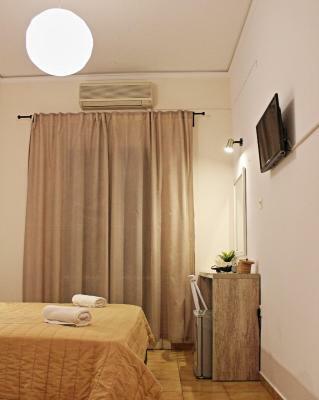 This twin room features a mini-bar, TV, hairdryer and air conditioning. Please note that most times this room comes with a balcony, however sometimes only rooms featuring just a window are available. Please note that most units are located on the mezzanine floor which have views only on the hotel's surroundings, while there are some located on the upper floor which have city views. 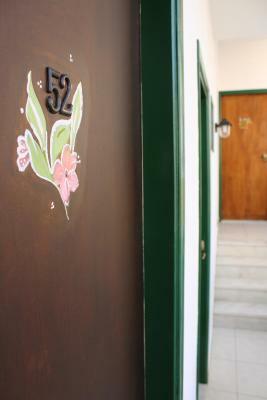 This triple room features a tile/marble floor, mini-bar, TV, hairdryer and air conditioning. 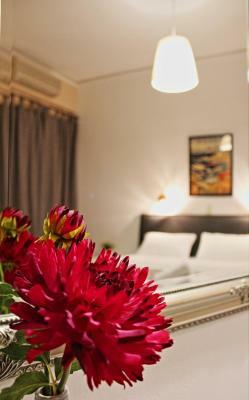 Please note that this room either opens to a balcony or windows with views over the city or the hotel's surroundings. Please note that bed preference is subject to availability. 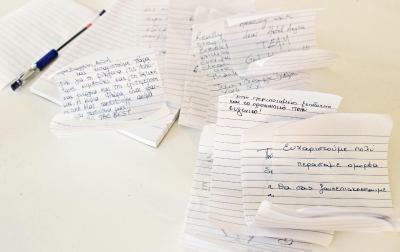 House Rules Hotel Aegina takes special requests – add in the next step! 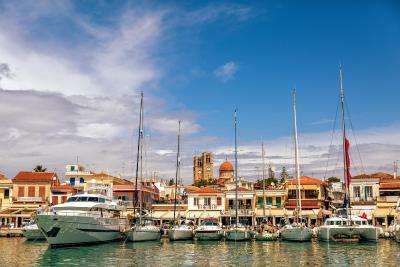 Hotel Aegina accepts these cards and reserves the right to temporarily hold an amount prior to arrival. Please note that the front desk operates from 8:00 to 24:00 during the months of June, July and August, while from September to May it operates from 8:00 to 23:00. 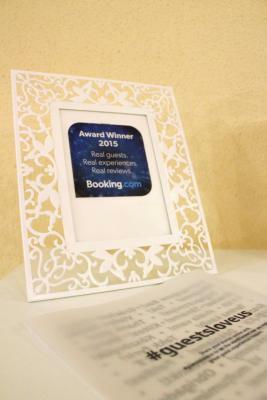 Guests arriving outside front desk operating hours are requested to contact Hotel Aegina in advance. Contact details can be found in the booking confirmation. Breakfast was poor, but good. Almost everything we liked: comfy bed, helpfull staf. Hotel near town center and port. Beautiful view from balcony. Very good place to stay in Eghina! I booked one night because I hadn't stayed there before and the room was not refundable. I only stayed the one night and then moved to another hotel. I had very little sleep with the noise both inside and outside the hotel. Someone, possibly another guest, was shouting very late at night and then people were up again and banging things very early in the morning. My room was close to a very busy road with motorbikes going past on a regular basis. On top of that, the bed was quite hard and I found it uncomfortable. 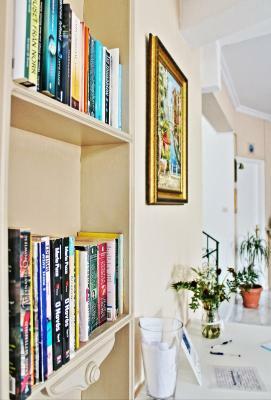 The property is very close to town and is immaculately clean. Noise insulation is quite poor both in terms of the outside walls and windows and the inside walls and doors (especially doors). The mini fridge in the room was noisy as was the toilet (strange prolonged squeeking when filling up the water tank). Members of staff were polite and helpful, but not particularly welcoming. That said, all of these are fairly minor issues if you only need a no-frills place to get some sleep and continue your travels, which was exactly my situation. 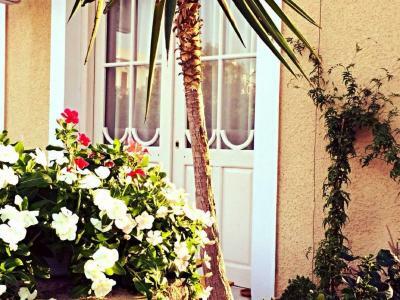 Close to the marina, quiet area, easy to book, easy to find, easy to check out. The room (a larger double) was spacious and the bed was very comfortable. Could use some maintenance. Like a new toilet seat. The doors do not close tightly and therefore knock. Very nice hotel with its atmosphere. 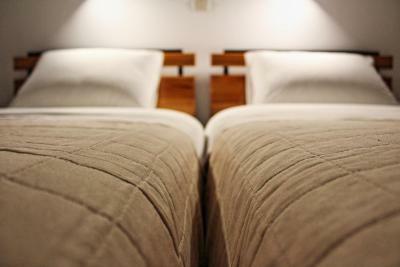 Cozy and clean rooms, fresh linen. Small but tasty breakfast. Located near the beach and the port. Pleasant staff. Comfortable bed. Quiet surroundings. 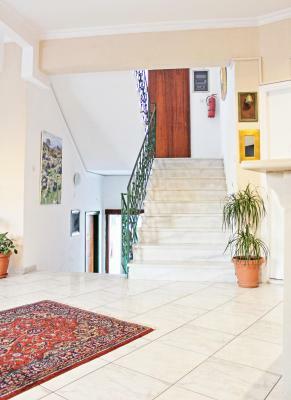 Very good location - 7 minutes by walk from the port, friendly staff and breakfast adequate to the price.